Double Prong Robe Hook White Organization with style has never been so easy. This metal hook is designed to hold a wide variety of items coats, hats, handbags, umbrellas, towels or robes. This classic design is perfectly suited for any room from the entryway to the bathroom. 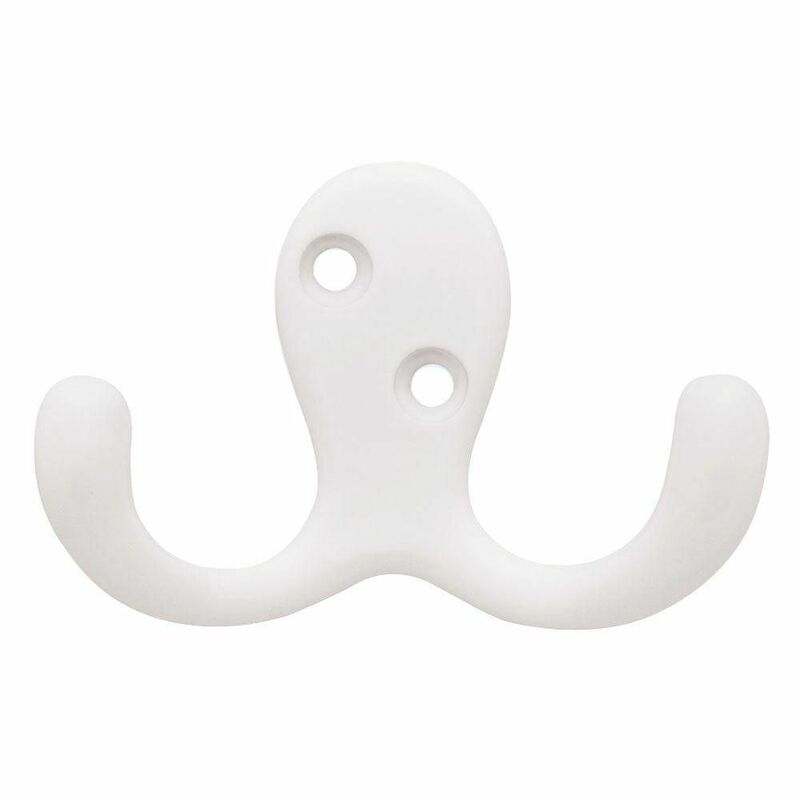 Double Prong Robe Hook White is rated 5.0 out of 5 by 1.